From blue seas, lush mountain ranges and vast green landscapes to popular getaways such as Busan, Yeosu and Boseong, Korea’s southern coast boasts some of the most scenic views and must-visit destinations in the country. The state-run Korea Railroad Corporation has made getting there not only easier, but more comfortable on its new “S-train,” the latest addition to its line of trains geared to tourism and sightseeing. Following KORAIL’s widely popular “V-train” and “O-train” launched in April in the country’s central regions, the S-train is to show off Korea’s south ― hence the “S” ― on a single train. Under the themes of “slow,” “south,” “sea” and “sightseeing,” the newly developed tourist train is equipped with 218 seats in five compartments, each with a different function: family, healing, cafeteria, tea, and sports and leisure. The tea compartment of the ride is unique to the “S-train” in that it is the first of its kind on any Korean train, offering guests a chance to view and participate in traditional tea ceremonies and enjoy tea from various regions of the southern coast, including the nation’s famous Boseong green tea. Or, for those passengers who prefer their ritualistic cup of joe in the morning, the cafeteria section of the train has a bar area where guests can order food and snacks. The section even has its own quaint cafe setting with tables, bar stools and even a barista who serves a variety of hot and iced coffee drinks. The train, departing from Busan, travels down to the Yeosu Expo Station via Gupo, Jinyeong, Masan, Jinju, Hadong, Suncheon and Yeocheon route. 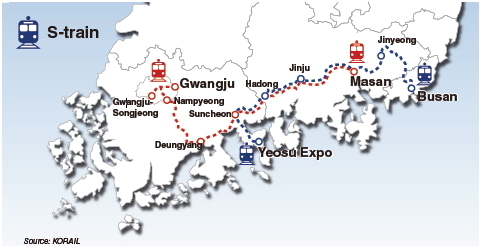 The return train departs from Gwangju Station and arrives at Masan Station, passing through Nampyeong, Boseong, Deungnyang, Beolgyo, Suncheon, Bukcheon and Jinju. Deungnyang Station in South Jeolla Province is not typically known for tourism. But thanks to the availability of the “S-train,” passengers can access a worthwhile flashback to once-upon-a-time Korea. Walking out of Deungnyang Station, visitors can feel as though they stepped out of a time machine and on to a special street known to the locals as “memory lane.” The unique street is reminiscent of those of the Korea of yore with a replica of a barber shop, comic book store, elementary school and even a bus stop all designed to look as they would have looked 50 years ago. After Deungnyang Station, the train will then head to South Jeolla Province’s Suncheon. As one of the cleanest cities in country, Suncheon provides visitors with a countless number of destinations and opportunities to experience nature at its finest. Aside from the city’s iconic natural wetland in Suncheon Bay, the area is now best known for its outdoor beauty thanks to its hosting of this year’s 2013 Suncheon Garden Expo Korea, as part of an international garden exposition organized by the International Association of Horticultural Producers. It is the first of its kind to be held in the country. The massive garden expo features more than 83 different gardens, but the area not only focuses on displaying beautiful botanical areas. It also stands as an example of green development and sustainability education such as its use of solar energy, sustainable garden development and the popular electric monorail transportation that shuttles visitors between the expo and Suncheon Bay. The six-month garden exposition first opened its doors on April 20 and continues until Oct. 20. The dynamic seaside area of Yeosu ― famous for its beaches, seafood and abundance of flowers that bloom widely during the springtime ― is the final attraction on the Busan-Yeosu train route. Despite the Yeosu Expo area being the most popular touristic attraction in the region, Yeosu actually has a number of scenic islands that make for a worthy day-trip. Among some of its picturesque island destinations are Sanghwado and Hahwado islands, a short ferry ride from the portside of coast. 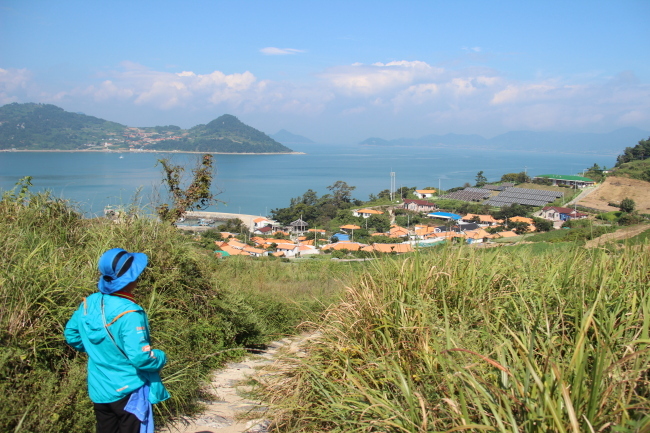 On the islands, which are together aptly called Ggotseom, or Flower Island, one can enjoy the fresh seaside air while hiking along some of the island’s trails. Visitors who choose to take on this somewhat physically challenging, yet ultimately rewarding hike along the islands can experience a peaceful bliss ― boasting views of the coast and the islands’ quaint villages ― that cannot be cherished anywhere in the city. The “S-train” got its first commercial run on Friday and will continue to make one round trip every day along the train’s two routes from Busan to Yeosu Expo Station (250.7 km) and from Gwangju to Masan (261.4 km). The one-way route takes four and half hours. 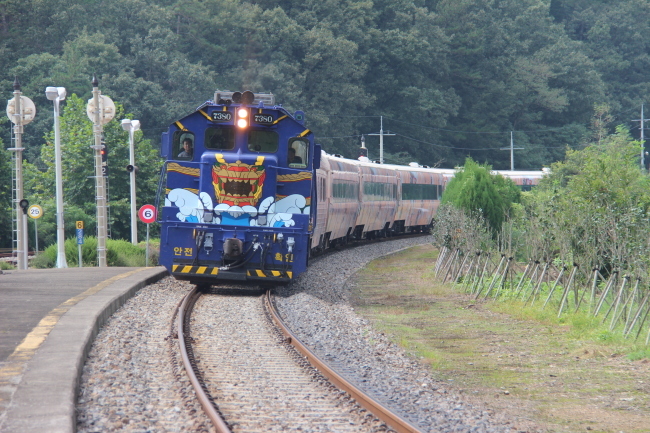 For more information, visit korail.com.